TKO Recycling has large convenient recycling centers accepting a wide variety of stainless steel scrap of various sizes, grades, and types. 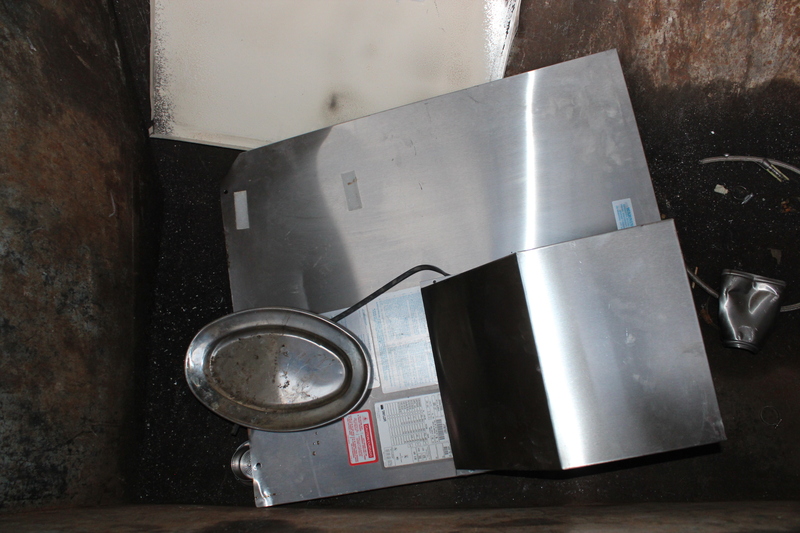 We always paying a fair, market-competitive price for your stainless steel recycling and have you in and out within 30 minutes. Clean Stainless Steel: No metal, no glue or paint contamination. 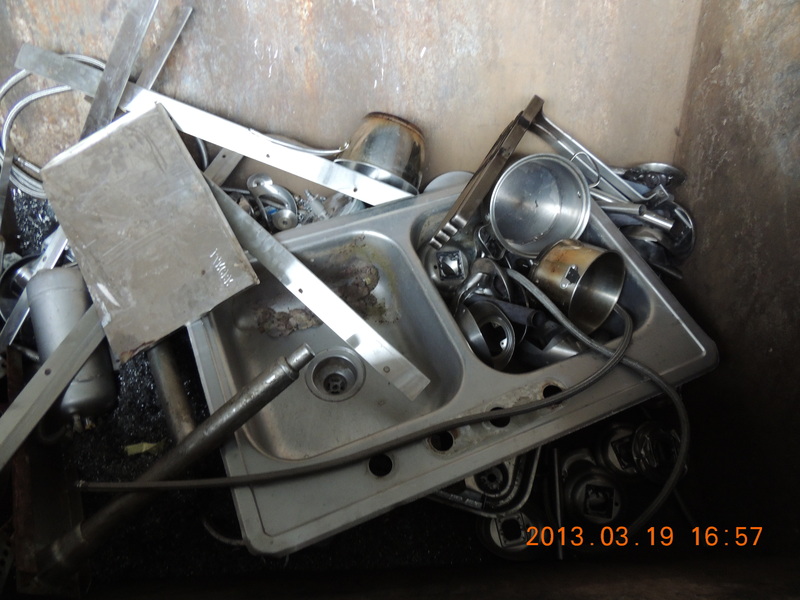 Look in most homes today and you will see kitchens full of stainless steel sinks, faucets and appliances. Stainless steel, extensively used on automobiles and motorcycles, has a high appeal to consumers because it contains chromium, a steel alloy that makes it bright and shiny. In addition to the visual appeal, chromium, commonly called chrome, is used to create stainless steel because it helps the finished product withstand corrosion. How much is stainless steel worth? Well, it is valued at a lot more than what you would receive for more common ferrous metals, so it is worth your time and effort to determine what you’ve got before taking it in to be sold. Part of scrap metal recycling is learning how to identify the different metals you have in order to maximize your returns. Stainless steel that contains nickel will sometimes be magnetic. An alloy made of nickel and chromium will, in most cases, not be magnetic. An alloy made of nickel and copper will also not be magnetic in most cases. 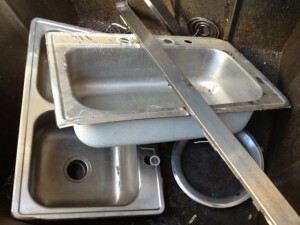 Even for seasoned scrappers, identifying stainless steel from aluminum can be confusing. There are a couple of tests that can be done to make sure. Don’t just do one. 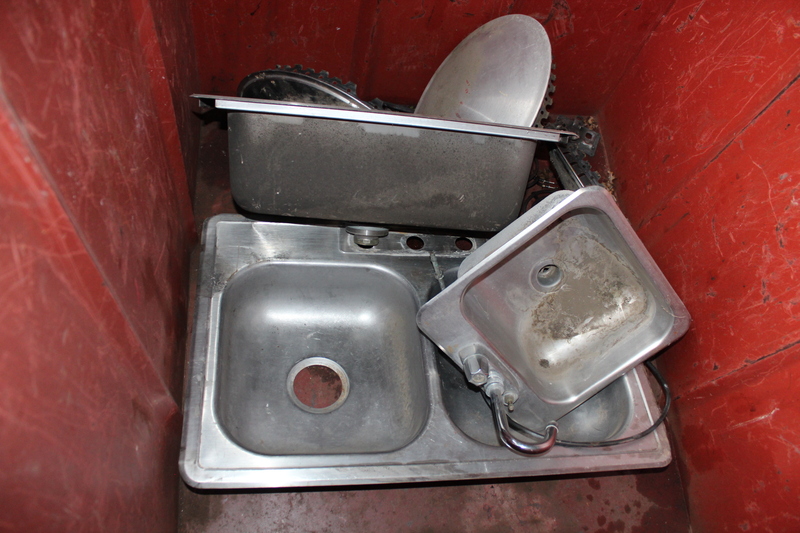 If you aren’t 100% positive, make sure you do all of them if recycling stainless steel is your primary objective. Test #1 – First hit the metal with a magnet. If it sticks to the item, it is not going to be aluminum, but will most likely be steel or a special type of stainless steel known as 400 grade. 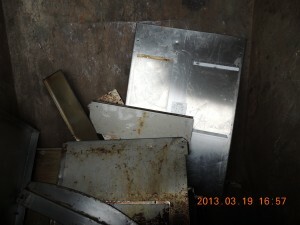 This should be your first step in identifying stainless steel from other types of scrap metal. Test #2 – The spark test is something that every good scrapper should know how to do. If you grind a bit of the item in question on a grinding wheel and it throws a “glow” of sparks, then it is steel. If it is non-magnetic and gives off sparks, the item is most likely made of a 300-series grade of stainless steel. Test #3 – Check the item for rust. 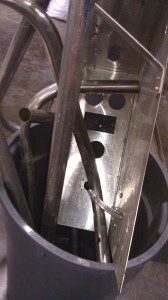 Aluminum won’t rust, however stainless steel can rust over time in extreme conditions. 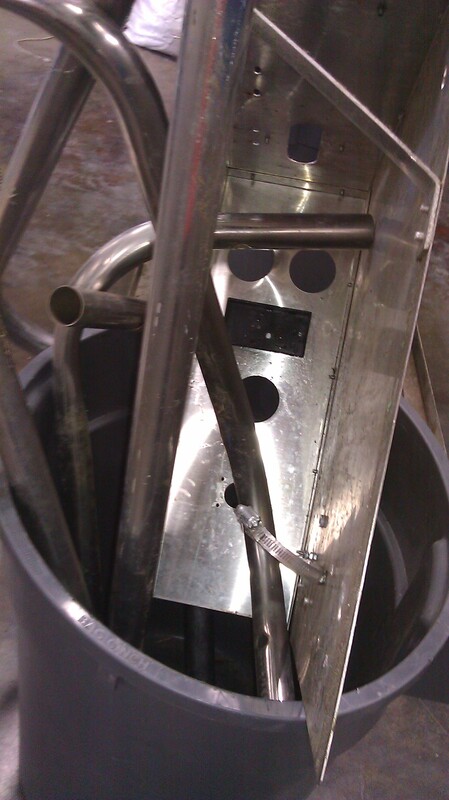 If there is rust, you at least know you don’t have aluminum when you are recycling stainless steel in Sacramento. Test #4 – The density of the item is also a dead giveaway. For example, the weight of aluminum is typically three times or more lighter than stainless steel. So if the item feels about the same weight as regular steel, chances are good that it is stainless steel. If it is really lightweight, you’ve probably got aluminum on your hands. So now that you’ve identified your stainless steel from other scrap metals, how much is stainless steel worth? 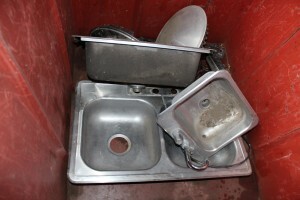 The best way to determine the value is to contact your local scrap metal recycling center. TKO recycling center in Sacramento can give you the current market rates so you can determine whether or not it is a good time to sell. Some scrappers will sit on a pile of scrap metal until the value goes up or will quickly get their scrap metal in when the prices are at a premium. Stainless steel recycling in Sacramento can be a very lucrative side job or full time business, but you’ve got to know how much each type of stainless steel is worth before you invest too much time in gathering it. Non-magnetic stainless steel is usually worth a little bit more than aluminum, but much will be dependent on the current market of supply and demand. The various grades of stainless steel range between the 100 series and the 600 series. The 400 series is the cheapest. It doesn’t usually contain nickel, making it magnetic and easy to identify. The 300 series is a non-magnetic type of stainless steel and is the type that is most commonly seen at scrap metal yards, but there are variations in value depending on the actual grade. There is approximately 18% chromium and 8% nickel in a 304 grade stainless steel, which is why it is commonly known as 18-8 in the industry. However, 316 grade is made up of 16% chromium, 10% nickel and 2% molybdenum, which makes it more valuable than 304 grade.